Villagers of Mau in the province of Namosi took time out of their busy schedules yesterday (03/11) to be part of the Parliament Bus programme. Facilitated by staff of the Civic Education and Media Unit of Parliament, the programme was aimed at educating the public about the roles and functions of Parliament, works of Parliament and how they can be involved. 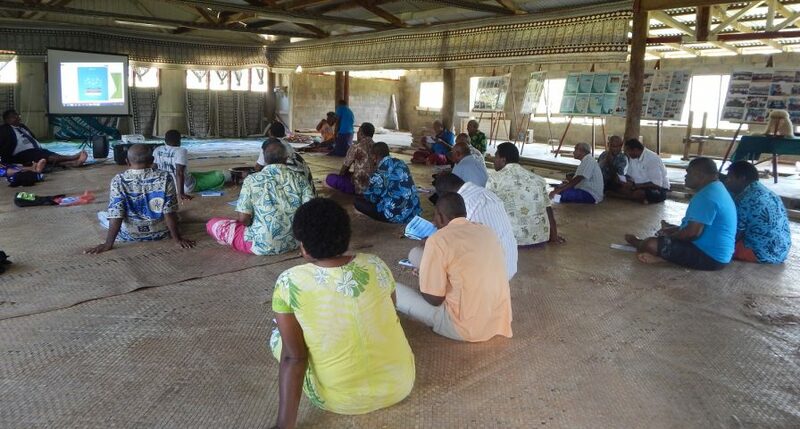 The villagers, who have been following a community program daily for the development of their village, set aside the day to learn more about Parliament. “We are so privileged to be part of it because most of us are not aware of how the Parliament works,” said the village headman Mr Ananaisa Rokovatunawa. Mr Rokovatunawa added most of them also did not know the proper channels to follow in order to take part in bill consultations or petition submissions but after the programme, they were now made aware. “We are thankful to the team and the Madam Speaker for bringing this sort of education to rural dwellers like us,” he said.